Technology Solutions offer a full range of web services, from domain registration to web hosting, and everything in between. Secure your domain with Domain Privacy and stay in control of it with Domain Manager. Choose the right level of hosting for your business, from our full range of Cloud and cPanel Hosting products. Just need a professional email address? 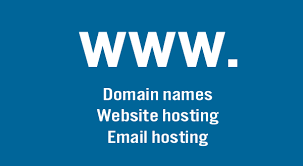 Look no further than our Email Hosting product. In conjunction with Synotive, Technology Solutions can acheive exceptional outocmes in Website development and Digital Marketing strategies.Imagine having a digital marketing compnay that will help you with your digital marketing strategy as well as the implementation of the right mix of Search Engine Optimisation (SEO), Search Engine Marketing (SEM), content marketing and social media marketing that will attract more visitors and convert them to paying customers for your business.Imagine having a website that makes you stand out, is easy to navigate and responsive on all devices. Picture your potential customers searching for a keyword in your industry and seeing your business come up on the first page of Google. Enjoy the feeling of attracting more visitors to your website and watching them converted to paying customers. Technology Solutions is a Cloud Service Provider and can provide you with the complete suite of Microsoft Office 365 products.